Apple always values security and privacy of user’s data, and has provided a number of ways to secure user’s Apple ID and protect user’s privacy. One of the most common solutions is the two factor authentication, or called Apple ID verification code. So what is two factor authentication? Two factor authentication ensure your Apple ID account only to be accessed on devices you trust, like your iPhone, iPad, or Mac. When you want to sign in to a new device for the first time, you'll need to provide two pieces of information—your password and the six-digit verification code that's automatically displayed on your trusted devices. By entering the code, you're verifying that you trust the new device. So, besides the password protection, two factor authentication give you an extra layer of security for your Apple ID. However, according to many users’ feedback, this feature also brought some problems to them, like apple verification code not working, or apple two factor authentication not working on iOS 11, or other apple two step verification problems. Besides, two factor authentication also prevents you from using some third-party software like iMobie AnyTrans or PhoneRescue. If you are suffering these Apple ID two step verification issues, the most practical solutions is to turn off two factor authentication on iPhone, iPad, or Mac. If you don’t know how to remove the two factor authentication for Apple ID, read our step-by-step tutorial to make it in minutes. To shut off two factor authentication on iPhone, all you need to do is to follow us and perform the steps on your computer and devices as below. At the same time, a window also pops up on iDevice (for me, it is my iPhone), says "Apple ID Sign In Requested", you need to click "Allow". And then your iPhone will show a Apple ID verification code, and you need to input it in iCloud.com like the last screenshot shows. And then click "Trust" when it asks "Trust this browser?". Step 2: Once signed in, select Settings on homepage. 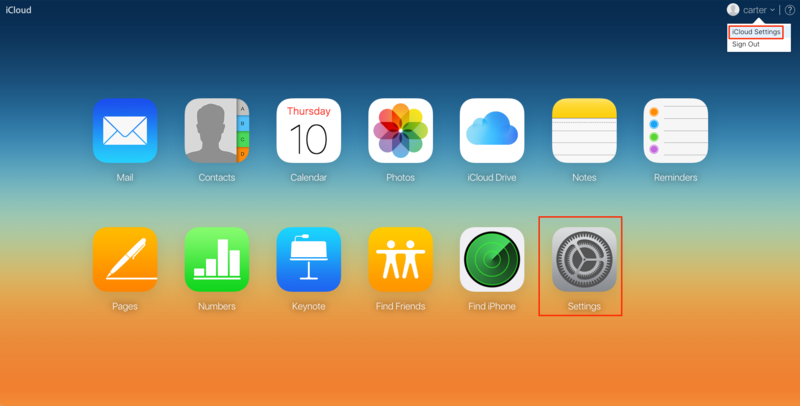 Or you also can click the name of your Apple ID and then click iCloud Settings option. Step 3: Click "Manage" Apple ID. Step 4: You will be directed to another site – appleid.apple.com, and input your password to log in and verify it with Apple ID verification code. Step 5: Then you will enter the manage page. Click "Edit" in Security column. Step 6: Click "Turn Off Two-Factor Authentication", and then confirm it. 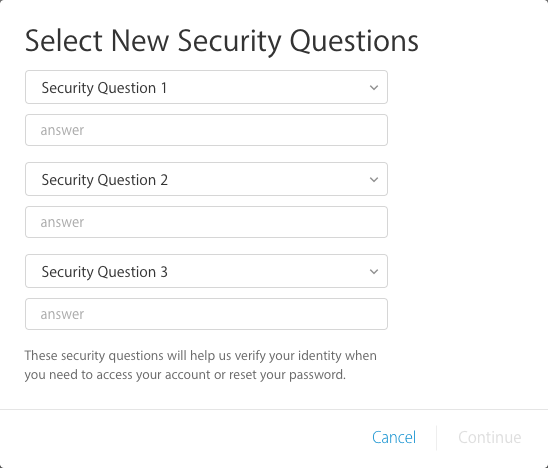 Step 7: Then you need to select your security questions and answer them, and click "Continue" after confirming your birthday and rescue email. After all of these steps, you have turned off two factor authentication for Apple ID successfully. Once you have done the work with third-party software, you can turn on two-factor authentication (two-factor authentication) for Apple ID again to keep your data safe. 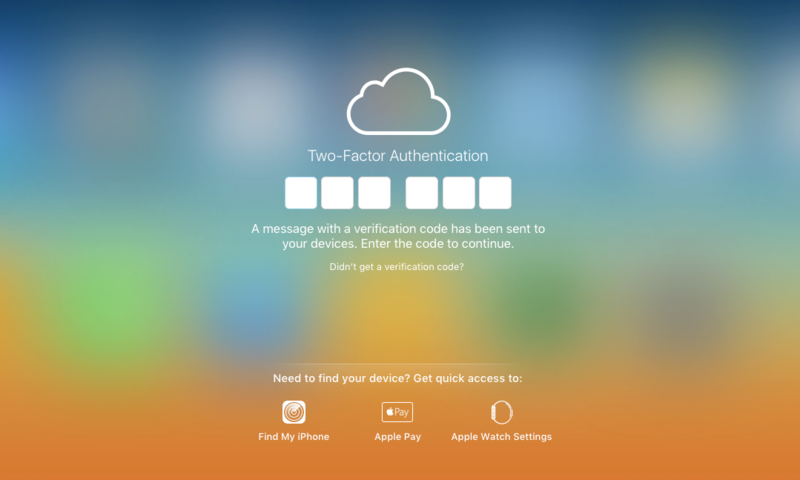 About how to turn on two-factor authentication on Apple devices, you can follow this guide to make it.